We are about to publicly release our Holiday 2014 collection at the Trendsetter’s Bazaar, World Trade Center, Pasay City on October 17-19, 2014; 11AM-10PM (FRI-SAT)/ 7PM (SUN). 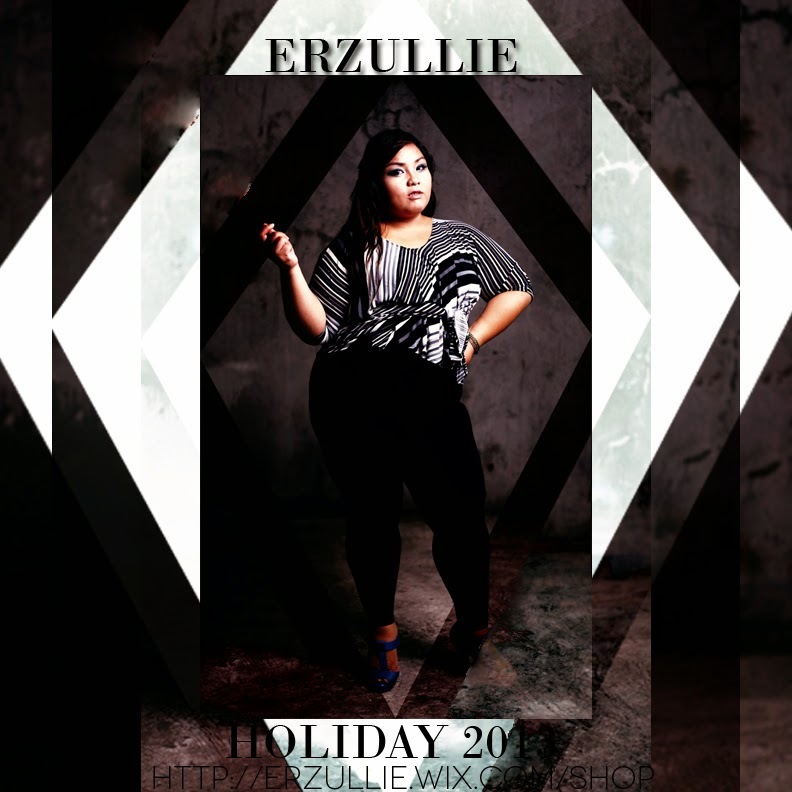 Check out the past Holiday collection (Erzullie Holiday 2013). It was named “Diamond Collection” based on the persona of Erzullie Icon and Plus Size Model, Loren Monares. 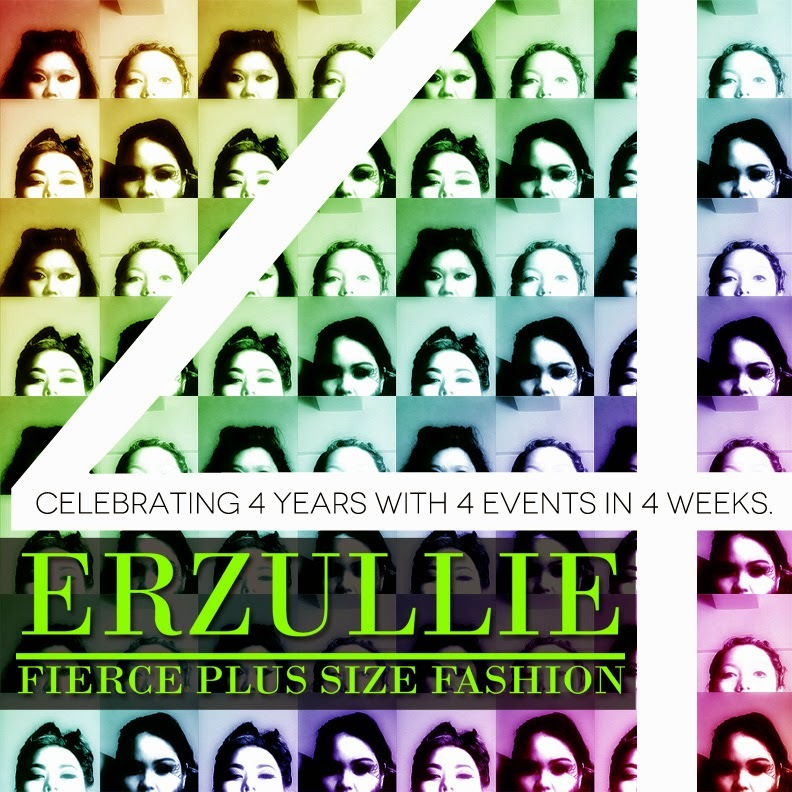 PLUS SIZE NEWS: ERZULLIE CELEBRATES 4TH YEAR WITH 4 EVENTS THIS NOVEMBER! It’s getting near and we are already starting to kick up the gear for our 4th year anniversary this NOVEMBER! And before we get ahead of ourselves, brace yourselves, the number 4 is going to get a lot of attention. So what’s in store in celebration of our 4th year? 4 fierce events in 4 amazing weeks! On November 6, 2014, Thursday, the brand’s ACTUAL Anniversary, we will be having an ONLINE PLUS SIZE FASHION DASH. Everything in the online shop (www.erzullie.com) will just be PHP 400/item. Details will be released a week before the said date so keep on tuning in! This you ladies already know. For the first time, we are giving 5 amazing plus size ladies a chance to be a plus size model for a day! Registration is ongoing. CLICK HERE. The event is happening on November 8, 2014, Saturday at the Erzullie Showroom, Pasig City. We would like to thank all of the fabulous ladies that applied and are vying for the 5 slots for this event. We are currently processing everything and will get to you ASAP. We are still working on this one but it is definitely set on November 15, 2014, Saturday at the Erzullie Showroom as well. Let’s just say that it’s an event we held last year that really sparked an amazing connection with a lot of plus size women and we are collaborating again with another amazing plus size brand! We will update you ladies as we get them. Over 40 items are up for the 4-second plus size fashion grab-all-you-can event and your whole lot will only cost PHP 400! Details will be announced soon, but it’s definitely happening on November 29, 2014, Saturday again at the Erzullie Showroom. November is shaping up really fierce, isn’t it? Let’s get our fierce on, shall we? You don’t always have to dress up looking like you are about to go to the Grammy’s to capture your fierceness. Sometimes dressing down allows your Erzulliesta aura to shine brighter! Example? This “daily diva” #OOTD. The Erzullie cropped top is paired with the Erzullie sheer skirt. Wear your favorite strap flats and add a dash of colorful clutch to get you on your way. And oh! The gently tossed up hair look awesome too.